An album I was really looking forward to was Heat, the second outing of Polish upcoming heroes Lion Shepherd. I was pretty impressed over the band's debut; Hiraeth (2015, see review) where both founders vocalist Kamil Haidar and guitarist, multi-instrumentalist Mateusz Owczarek added a fair dose of middle eastern music to their slightly Riverside related compositions. On their 2017 release, the dynamic duo have shown even more influences as could be heard on Hireath. Besides the base of progressive rock, the middle eastern influences have become much more prominent, but if you dig deeper, elements of trance, pop and even blues all have integrated into the worldly form of progressive rock, that might have now become the Lion Shepherd dedicated sound. Beside the duo, Heat sees the returning of drummer Slawek Berny and newcomer bass player Lukasz Adamczyk as rhythm section. Also keyboard player Wojtek Olszak and Kasia Roscinska's vocals are added to Lion Shepherd's line-up. What makes it more easy for the band, is the fact I grew up with a band called Led Zeppelin. A band that introduced subtle middle eastern influences to their bluesy (hard)rock. Much later, the release of the Page Plant album; No Quarter was a kind of highlight where east was meeting west in a very positive way. A very long intro, if you want to compare some of the tracks on Heat to this heroic album, but that is one of the references that got stuck in my head, when I listened to the opener On The Road Again or the album's title track Heat. Only Robert Plant's vocals have been replaced by Free and Bad Company's Paul Rodgers. The Paul Rodgers resemblance didn't occur on Hireath as far I can remember, but on Heat delicate hunches of Riverside's Mariuzs Duda and Paul Rodgers desperate vocal style become sort of trademark for Kamil Haidar. The use of guests like Iranian Jahiar Irani and Rasm Al Mashan, alongside the traditional instruments give this album a very special touch. Perhaps as a sign how people can live together in peace and harmony in this fucked up world we are living in at the moment. But I don't want to get political, for this is about music. Yeah, but if we all could only make a change..... Absolute highlight on the album is the goosebumps creating Dream On. Nothing less than a brilliant track and also the first single of the album, including a very impressive video clip, you just have to watch. Strangely enough I do hear some Rush elements during this song. Another majestic track is Fail, where I hear so many different elements that sound familiar in a way, but all elements are finalised to a perfect outcome. Talking about brilliancy, check out the guitar solo on Farewell, where technique and emotional playing are fused to one big harmony. During the same track again Kamil Haidar's vocals go deep and touch you in your heart. Both Storm Is Coming as well as Dazed By Glory are tunes that excel; powerful parts go hand in hand alongside smoother intense vocal parts, but always accompanied by a very solid, rhythm section that adds a lot of subtle eastern percussive elements. The final track on Heat; Swamp Song is another impressive one, one that gently starts as an acoustic rhythmic track with gentle vocals and a fine bass, but towards the end the power is cranked up in a furious guitar solo, ending what I think is a more than beautiful album. What also has to be mentioned is the way the album is packed; a wonderful digipack that opens to four sides to reveal the actual CD, produced in matt black with nice embossing. My conclusion can be very short. 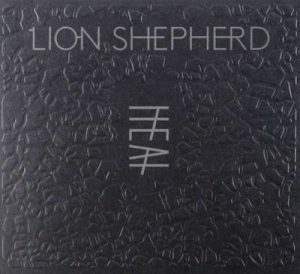 Since I was impressed by Lion Shepherd's Hireath, I granted that album with four and a half stars, Heat is an even better album. Musically the band has grown towards perfection and the amount of non prog influences have grown. For me that is what the spirit of progressive rock stands for. So a big five stars for an incredible gifted band.